Taking a snowshoe excurision is a great way to see the lovely scenery. This beloved winter sport is an alternative to ski touring and takes you on a peaceful and silent journey to mountain pastures and mountains. 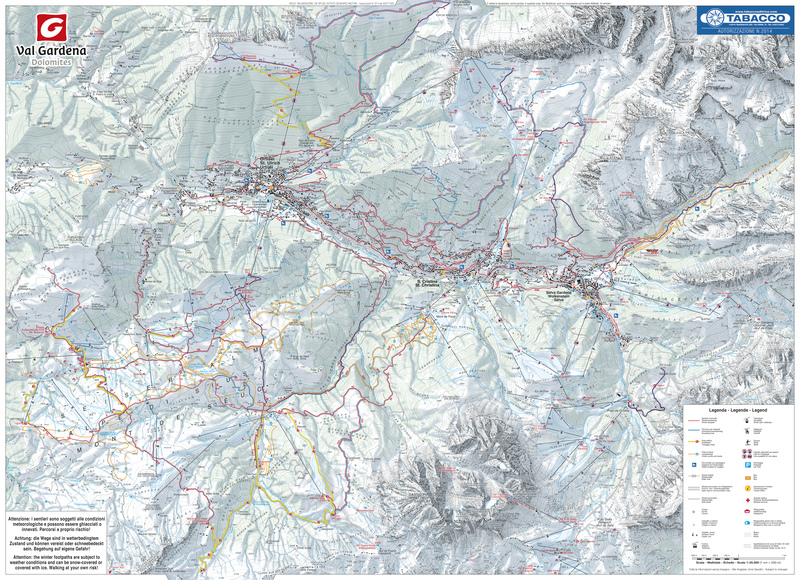 A winter excursion map, where snowshoe trails are also listed, can be obtained for free in all tourism offices in Val Gardena. There is also an online winter hiking map of Val Gardena available.